Not all businesses make use of a garage. Some are too small, while some operate entirely online. But for the businesses that do make use of a garage, it usually serves as an important aspect of their daily operations. It serves vital functions that need to stay operational in order for the business to stay profitable. Any problem with the garage could be disastrous for the company’s bottom line, making it crucial to avoid any stoppage. Commercial garage doors serve different functions for different businesses. They can be where you keep vehicles that bring people and items in and out of your headquarters. Sometimes, it simply protects the storage facility, keeping things secure. They also serve as the face of the company, since even if it is within the company’s property, clients and even employees can get a sense of pride from a properly functioning garage door. This is how much we value the garage door at Garage Door Repair Pearland TX. There are quite a number of things that differentiate a residential garage door from a commercial garage door. While the appearance and mechanisms may be similar, in practice, they are somewhat different. For one thing, a commercial door has a different purpose. While a residential garage is meant to house the family car, as well as the bikes of the children and some storage, a commercial garage contains vehicles and equipment related to the profitability of a business. This relates to the number of cycles the garage door goes through. 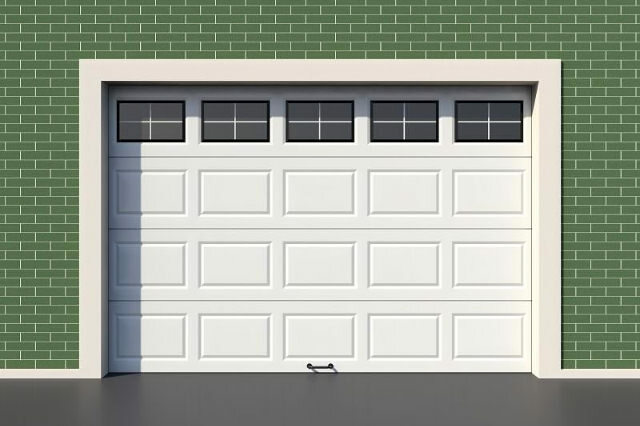 A cycle is defined as an instance that a garage door opens and closes. While a residential garage door typically goes through about four cycles a day, it would not be uncommon for a commercial garage door to go through more than 20 cycles in a day. Commercial garage door sizes also tend to be a lot bigger, as the vehicles they contain are usually bigger. It is a lot more common for a commercial door to be wide enough for two vehicles, although it is not unheard of to see it in a residential door. When it comes to the kinds of garage doors that a commercial establishment has, they are similar to the kinds of residential door. However, some styles are much more common among commercial doors. 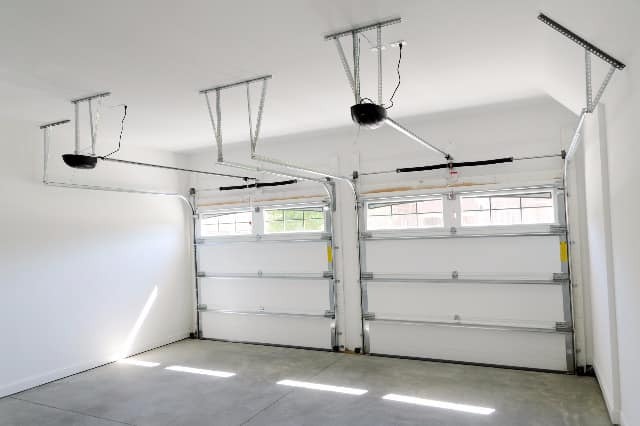 The first kind is the traditional garage door, which is made up of a single slab that opens out and up before tucking itself into the ceiling of the garage. 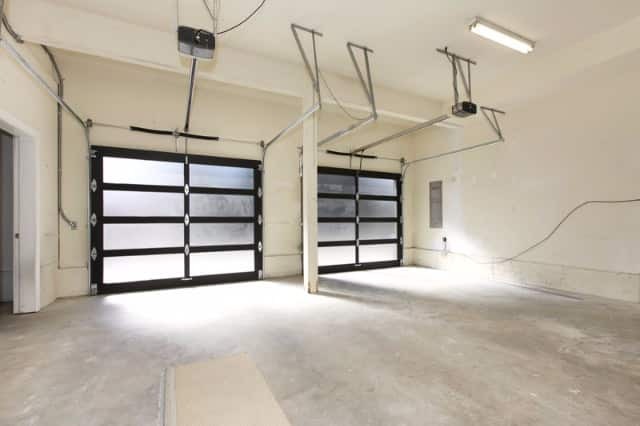 There was a time when all garage doors were like this, so it is not uncommon in old businesses. Although, most of those doors have been replaced by segmented garage doors, which take the single slab and divides it into multiple panels, allowing the door to fold as it opens and closes. This is quite popular among more modern businesses. The third kind is the roller garage door, which is like a metal sheet that rolls into a spiral when the door is opened. The downside of this is that it sometimes results in a rather large roll, especially when it comes to the larger commercial garage door sizes. Since it is absolutely essential for your garage door to remain operational in order not to hurt your profits and since commercial garage doors endure much more punishment than residential garage doors, you need a professional garage door service that will meet your needs. We at Garage Door Repair Technology are exactly what you are looking for. We have been serving the people of the Pearland, TX area for years, and we have a long history of customer satisfaction. We offer a complete range of services for the commercial establishments of Pearland, which is why our customers trust us with something so important to their bottom line. Since we have all the services you need, you only need to trust one brand. We are also relatively inexpensive due to our practice of competitive pricing. Furthermore, we are convenient. We operate 24/7 all year long, so you never have to worry about us not being available to serve your needs.